The majority of people across the country are facing "up to two days" without electricity - with some people expected to have no power for up to 10 days. Bernadette Maloney, head of corporate affairs for the ESB, told the Ray D'Arcy show that Ireland is experiencing "unprecedented" outages. Over 360,000 homes and businesses are currently without power, and the number is only increasing, as Hurricane Ophilia sweeps across the country. Ms Maloney said earlier that between "5-10pc" of ESB customers may have to go as long as 10 days without electricity. She said they are hoping crews from other countries will assist Ireland as the country tries to recover from the most powerful storm to hit the country in half a century. "We've gone to help France in the past and the UK, so those favours will be reciprocated as well," she said. "When Storm Darwin hit a number of years ago the number of customers affected was around 250,000 in total, so this is far in excess of the people who were affected during Storm Darwin. "Crews are beginning to go out and assess the damage and when the storm has passed, people may get out and about but there may be power lines down. Do not approach them. They are live and dangerous." Sources have told Independent.ie there will "easily" be 500,000 homes and businesses without electricity by tonight. Meanwhile, Conor Faughnan, director of consumer affairs with AA Roadwatch said "north of 70 or 80 roads" across the country are now closed. "There isn't a county exempt from this. 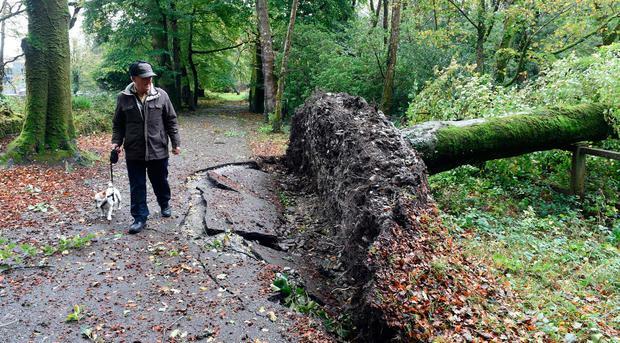 We have reports of fallen trees from every county," he told the Ray D'Arcy Show. 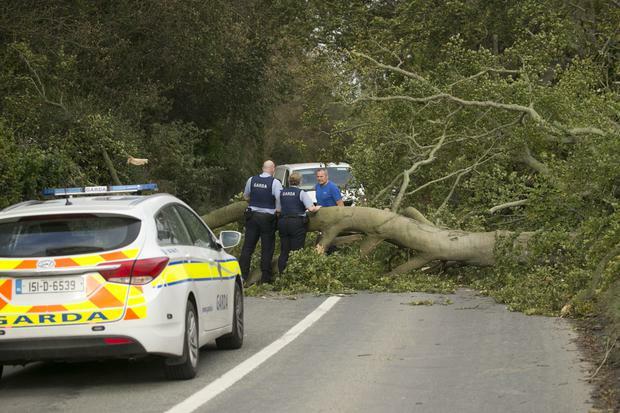 Storm Ophelia has caused “unprecedented” damage to Ireland’s main telephone and broadband networks, the country’s biggest telecoms firm has said. Meanwhile, Eir says that the initial tally of 11,000 broadband, phone and mobile customers affected by the storm outages will “rise significantly” and that repairs will not happen immediately. The company has advised affected customers to log faults on the ‘log a fault’ section of its website www.eir.ie or through its automated customer service line 1901.